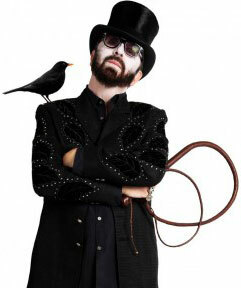 Songwriter and guitarist Dave Stewart (Eurythmics, Superheavy) stars in the upcoming documentary The Blackbird Diaries and the Ringmaster General, which was shot in Nashville during recording sessions at Blackbird Studios. The film follows Stewart through the recording process of two albums, his 2011 release The Blackbird Diaries, and the forthcoming The Ringmaster General (Weapons of Mass Entertainment/Surfdog). Guests and muses who join in the fun include Alison Krauss, Martina McBride, Colbie Caillat, The Secret Sisters, Joss Stone, Stevie Nicks, Jessie Baylin, Diane Birch, and Orianthi. Some of Nashville’s finest session musicians back Stewart on both recordings including Tom Bukovac, Chad Cromwell, Michael Rhodes, Dan Dugmore, and Mike Rojas. The Belcourt Theatre will host a VIP premiere on Wednesday, August 22, and tickets are available here. See the trailer here.